I read JUBILEE after winning the book last year in one of Rosie Hollinbeck’s giveaways at THE WRITE STUFF. Rosie always has a compelling book to recommend along with some helpful writer links. Go check out her site! Jubilee is a quiet, hopeful story in more ways than one. Judith is the main character and hasn’t talked since her Mom left her with an aunt many years ago. Jubilee communicates through her drawings and friendships are hard to come by. That is until Mason, a boy in her class, and Dog come into her life. Judith would like to see her mother again, to find out the reason for the abandonment. Judith feels it was her fault, but she’s glad to be with Aunt Cora who calls her Jubilee. The result is a heartwarming novel about a girl trying to carve her own path to discover who she is and to get the voice back she hasn’t been able to find. Perfect for the quiet kids who also are trying to see where they fit in. FULL PLOT (From AMAZON) Judith lives with her beloved aunt Cora and her faithful Dog on a beautiful island. Years ago, when her mother left, Judith stopped talking. Now she communicates entirely through gestures and taps, and by drawing cartoons, speaking only when she’s alone—or with Dog. This year, Judith faces a big change—leaving her small, special classroom for a regular fifth-grade class. She likes her new teacher, and finds a maybe-friend in a boy named Mason. But Jubilee’s wandering feet won’t stop until they find her mother. And now she discovers that her mother has moved back to the mainland, nearby. If Jubilee finds her, will her mother’s love be what she needs to speak again? The friendship of Mason and Jubilee is sweet and a perfect balance to provide growth and change for both of them. Children in similar circumstances who’ve also been dropped at a relatives house for years will cheer at the elements brought forth. They truly aren’t alone. Jubilee’s cartoon drawings are interspersed throughout the story. They provide more understanding to her feelings and personality in a humorous way. The island setting adds to the charm and beauty of the story. It also deepens the divide between a mother and daughter. At the age of 81 this author, like Robert Newton Peck and Richard Peck, keep churning out great stories. We can be thankful writing has no retirement age. FAVORITE LINES: My mother had left on that ferry when I was a toddler, dropping me off at Aunt Cora’s as if I were a bundle of laundry. She sent presents at Christmas and cards on my birthday, postmarked Oakdale, or Vista, or even Apple Valley. She signed them Mom, or Mother, or her name, Amber. She didn’t even know what to call herself. 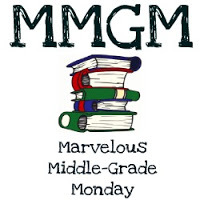 This entry was posted in Reviews and tagged Jubilee, Marvelous Middle Grade Monday, MG book reviews, Middle grade, Patricia Reilly Giff. Bookmark the permalink. Thanks so much. Hope you’re 2017 is off to a great start. Glad to see this story about abandonment — such a tough issue for many kids. I like how Jubilee finds her voice through her artwork. Very cathartic. I should read a copy of this book. So glad you enjoyed the book. I think it’s terrific. I love the lines you chose to share. They are really at the heart of the story. Thanks for the post and for the shoutout.